Let's start the second half of this semester with a clear mind and an elevated attitude, shall we? If that's too big an ask, maybe you can scroll down this page for some help, advice and opportunities. Test both your brains and luck by trying to Solve The Riddle for the chance to be a winner - right at the bottom of the newsletter. As usual, make sure you don't miss out on all the opportunities in Just Do It and My Career down below as well! Please send us your feedback and/or submit your question to Ask Ghina. Peter Whalan, Daniel Anderson, Xin Wei Chow, Darcy Best (Coach). You could say it’s the computer programming equivalent of the Olympic Games - the Association for Computing Machinery (ACM) International Collegiate Programming Contest (ICPC) is the oldest, biggest and most prestigious programming competition for university students in the world. "Our team recently qualified for world finals at the International Collegiate Programming Contest (ICPS), coming 3rd in the South Pacific Region and 1st in the Western Division. The world’s best competitive programmers are not only remarkably talented but have also put in an incredible amount of time training, some from a very young age. Darcy Best, who is our coach, founded the current competitive programming club at Monash in 2014 and Xin Wei and I have attended almost every training session ever since. Daniel Anderson came later, but boy did he improve quickly! Since the beginning, my personal goal was to make world finals, and after choking horribly at regionals last year, it is great to have finally made it." Peter Whalan. 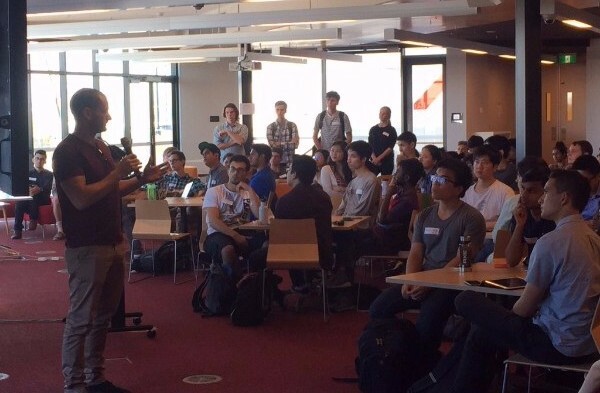 The competitive programming club is open to people of all backgrounds and skill levels. They are currently doing both theoretical and practical sessions each week and you are welcome to come to as many or as few sessions as you like. To find out more please contact darcy.best@monash.edu. Got a suggestion who could be our next Human of IT? Click here. “We can talk about it, dream about it and dissect the fine print. In the end, only action satisfies our longing" - Gina Greenlee. Join one of our fireside chats as we hear from three Monash Alumni who have walked, run and sometimes hobbled the entrepreneurial pathway. The panel includes New York based entrepreneur Kish Thurairasa, Founder of Lively Anna Donaldson and Monash supported startup Eleanor Meyer from SustainMe App. Join Facebook for their first hackathon in Melbourne! There will be supply of food, fun diversion, prizes and some expert guidance from their engineer. Bring your laptop, appetite, skills and ideas. Event date is 6 May. Registrations close on 14 April. Got an idea and want to see if it has potential? 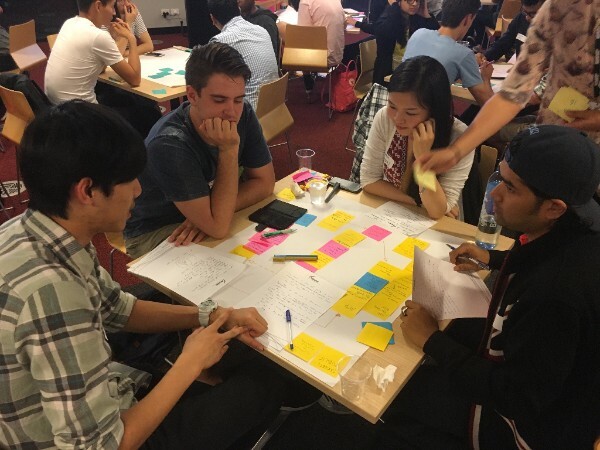 Been to a Hackathon and want to pursue your idea further? This 5-week intensive will have you testing your idea to discover how market ready it really is. You will get to go on a real customer discovery journey, design a roadmap to market, learn to pitch your idea, and get lots of input from experts who have done it before. The program involves a female student spending approximately 35 hours at Transurban, working closely with a key mentor and observing and discussing the realities of the profession. Securing a placement on our FEET mentoring program is a great introduction to their business and the career opportunities available in this sector, including their Graduate Program. Our next intake will be over the winter break from 24 June - 23 July. Interested? Apply now. Applications close COB 28 April 2017. "If you are comfortable enough with your social media profile, get out there and approach employers. Their social media profiles are online because they are trying to engage with people like you, so go ahead!" PageUp. This internship is located in Sydney with availability from July 2017 to January 2018 (6 months full-time). Ericsson Australia has a number of positions for graduates in Telecommunications Engineering, Business and IT&T to work in their Global Services Delivery Centre and Local Market Unit, based at the company's offices in Melbourne and in Sydney. Drive your career forward with a unique undergraduate or graduate internship opportunity as part of the Mercedes-Benz IT team! Starting May 2017, ideally full time but flexible for the right candidate. If you’re currently in your penultimate year at university, gain practical and paid work experience over your break. Inspire your career with tailored rotations, collaborate with innovators in your field, connect Australia. Join their 2018 Graduate Program. 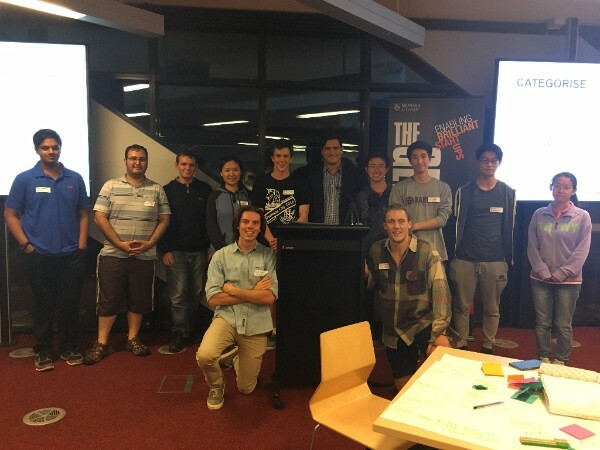 In partnership with the Faculty of IT, the GENERATOR ran a rapid ideation session to support teams heading into Telstra Innovation Challenge 2017. It was a room full of 80 bright minds hacking the future of agriculture in Australia. 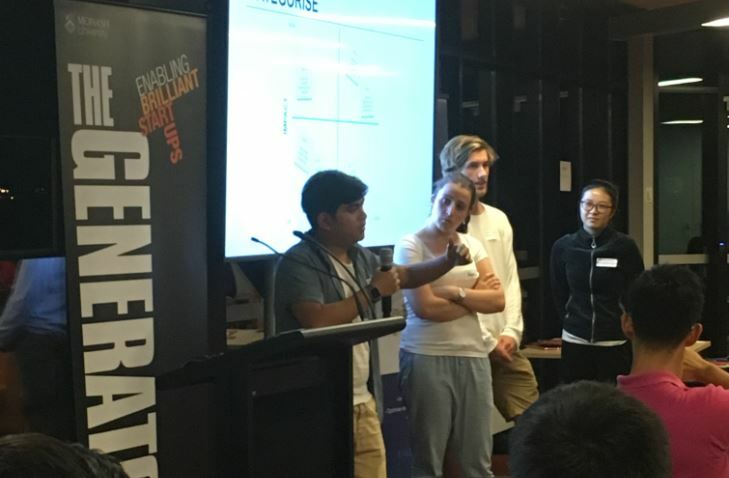 The final pitch will be on 12th May - all the best to the Monash entries. Build by our own Monash Doctor of Psychology student, David Bakker, and his supervisor, Associate Professor Nikki Rickard, MoodMission app helps you learn new and better ways of coping with low moods and anxiety. Why not try it out! Download here. What's so special about the following number? If you're stuck, look for the hidden hint.. Submit your answer here for your chance to be our lucky prize winner! Ask for feedback. You need to know where you went wrong to make sure you don't do it again & again and get stuck in a forever loop. Trust me on this. Understand and accept that failure is just as common as success, and more applications are rejected than accepted. But that's ok, because life moves on and always figures itself out. And chances are in 20 years you will value those parts. Failure teaches you so much. Read our next issue of The Byte - real experience from our international postgraduate student who had 8 months of rejection before finding a light at the end of her tunnel.